JOHOR BARU: He is a young prince who raised eyebrows even before he officially became Johor FA president. Tengku Mahkota Johor Tunku Ismail Ibrahim kept football fans debating on his idea of only one team representing the state in the national league. And yesterday, he revealed that Johor police were in cahoots with bookies to fix football matches. Nevertheless, the polo enthusiast believes in speaking the truth. The Twitter-savvy royalty spent some two hours in an exclusive no-holds-barred interview with Mailsport’s senior journalist HARESH DEOL in Johor Baru on Sunday as he spoke about matchfixing, the perception of royalties holding positions in sports, Johor FC being one man’s personal ambition and his Twitter adventure. MAILSPORT (MS): Tuanku, you surprised many by declaring yourself the Johor FA president a week before the official statement was made. That raised a few eyebrows. 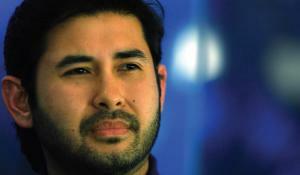 TUNKU ISMAIL (TMJ): There was a problem and we (Johor FA and TMJ) had unofficial discussions. Tuanku Sultan’s (Ibrahim Ismail) decision was that I head Johor FA. He knows I’m passionate about football. But obviously I’m not running my own show. I have people advising me. I welcome all ideas. When my father told me to take over Johor FA I was obviously honoured but at the same time I was aware of the problems there. I love football and obviously for me, as TMJ, I would like to see Johor people together at the stadiums through the colours of their flags. That would be nice. In fact, we have history as the strongest team in the country. Suddenly it became a total mess and I had a lot of people approaching me, pleading for me to take over. No one showed interest and the team, the players and the whole organisation were neglected. But when I took over I just didn’t want to sit ... I want to create an impact, to change in terms of the structure and obviously the financial situation, mentality and mindset of the players. We need more professional people, with integrity and discipline. Obviously, we already took those steps. MS: It’s been roughly a month since you became president. Are you happy with the progress? TMJ: We improved a lot in terms of structure and everything. When I took over, the team was already there and there was nothing I could change. We have to wait for the transfer window. But yeah, we need to educate the players to be more professional. They should not think short-term but rather about long-term. They should not be involved with matchfixing because it will kill the sport. MS: Matchfixing is not new in the country. It has has and will always be there. TMJ: Correct, but it takes all parties to work. We’re voicing out our good intentions to remedy the whole situation. But then it gets quite frustrating when there is only so much one can do. I can only seek help from the police and the Malaysian Anti-Corruption Commission. MS: You created quite a stir by saying you only want one team to represent Johor. TMJ: When changes are introduced, there will be a lot of hoo-ha. My people deserve to know the truth ... what is going on. I do not like them to be victims of bookies or people who have personal interest to melaga-lagakan rakyat (disunite the people). Some people don’t know the real story and why certain actions are taken. So they give their opinions through Facebook, Twitter, but I do not blame them as they do not know. I urge the people not be too naive by listening to individuals with personal interest because you are the victim at the end of the day. Whatever I do, I do because my priority is the state and the people. Not for me. What do I get? I’m not paid to do this job. I’m not getting a salary for this. As an example, I said we want to reduce the number of teams. A lot of people didn’t understand. They asked why reduce the number of teams, why reduce football for the rakyat? That’s already an assumption. You don’t know the real situation and you’re voicing out. We’re not reducing football in the state. We have the Sultan Johor Cup, the Tengku Mahkota Johor Cup, the Menteri Besar Cup and even school activities which means people get a lot of football in the state. The investment comes from the (Johor) FA which sadly do not have the money because of how it was run previously. When I came in, I asked why we were dividing ourselves — our rakyat, our strength and being victims of bookies. There are small teams like MP Muar, MPJB. Sponsors come in and give them a certain amount of money. Obviously, the players aren’t going to be paid a lot and it is easier for them to be persuaded to do such things (matchfixing). MS: What about Johor FC since they are better than Johor FA? TMJ: Johor FC are doing so well … I know. But do you know the history of Johor FC? No one knows. The Johor government, since Sultan Ibrahim’s time, had an idea to use a company, Johor Corp, as an investment arm for the state. But we had a man who ran it like his own empire. He was supposed to inject money, to help the state. But he didn’t do that. The same man was tasked to run Johor FA. But at the same time he created his own team called Johor FC under Johor Corp. All the money, instead of going to Johor FA, went to Johor FC. Johor FA are the main governing body in the state. The team should be representing the state. But someone was more interested in becoming another “Roman Abramovich” and that caused Johor FA to be neglected. Players were not paid, their salary was small. Johor FC did not belong to the state, it belonged to an individual. MS: But why fix something that is not broken? Clubs are the way forward. TMJ: It is easier to monitor something under me. Then Johor FC have to come under us, they have to declare their assets and their sponsors to us. I do not want the players to be the victims. Although it is two or three teams, they have to come under Johor FA. We are trying to close the doors on all issues, especially matchfixing. MS: People tend to dislike politicians or royalty in sports. TMJ: At least you know the money will be spent correctly. No disrespect to anyone else. I’m not trying to libel or blame others by implying they have taken money but that money will be more secure. You can sit up there but once must be willing to accept other opinions and ideas. It’s not a one-man show. We can all voice out but we must find the best decision that will only benefit the association. That’s it. MS: You are perhaps the first royalty in Malaysia to start tweeting. TMJ: I think I want to switch it off-lah (laughs). Sometimes when you say something, people twist your words. Sometimes it can get quite frustrating also especially when someone says something and I’m tempted to say something back. I’m royalty but I’m also human. My purpose here is to serve Johor. If there’s something I don’t like, I’ll voice my opinion. Others also voice out. Just because I voice out my opinion and because of who I am, you have to judge me? Come on-lah. Let’s be more open and rational about it. MS: The more conservative ones are not impressed with your Twitter but others believe it’s a good way to connect with your subjects. TMJ: Being on the ground, meeting people, going for Friday prayers with them are fantastic. There’s also the Kembara Mahkota which is very very successful. Being on Twitter ... it is the only thing I have where I can voice out. Sometimes people don’t realise being royalty can be a very lonely world. This is what the public doesn’t know. The public think royalty is all about Ferrari (which later Tunku Ismail admitted he was more of an American muscle car fan than a Ferrari enthusiast) but do you know the responsibility, do you know the criticisms. It’s like living in an aquarium. Everyone is there to judge you ... about what you do or what you say. I like reading quotes, I like to share my ideas. My motto is the same motto as Tun Hussein Onn as we were trained at the same place (Indian Military Army in Dehra Dun, India). My motto is “I rather do the right thing and be cursed than do the wrong thing and be applauded”. It is my style of approaching the people. Someone tweeted to me asking why 90 per cent of my followers are women? I didn’t know what to say (laughs). MS: Are you harbouring any ambition to be part of FAM? TMJ: There are a lot of people who know what they are doing there, and they are doing well. Some people told me they (FAM) need young blood, but for now I’m just concerned with Johor. MS: Any plans for Johor FA as they are now placed ninth in Premier League? TMJ: I’m with the boys everyday. During training, meetings and games. I’m a military man. We have the principle of never leaving any man behind. We are looking to strengthen the team and we’re looking at earning a promotion to the Super League in two years. The first time I met Fandi Ahmad (who is now attached with Johor FA), there was some connection. We are both passionate about what we do. The guy is a legend. He is very experienced about football in this country. It is good. As for Gabriel Batistuta, he was introduced by a polo friend of mine and has intentions to expose more Argentine players abroad. Of course, we can’t get names like Lionel Messi but perhaps we can look at someone like Andres D’ Alessandro. If we hire a big name, we will put Johor on the map. I’ll bring a big name in the following season, that’s my promise.